The Department of Water Resources says it will conduct a comprehensive safety review at the recommendation of several state and federal agencies. The California Department of Water Resources announced this week the Oroville Dam will undergo an overall safety review. Federal, state and private experts will collaborate on the assessment, taking a closer look at any needed upgrades for the 770-foot dam, according to agency officials. The department’s response follows our Investigative Unit’s six-month investigation that raised serious safety concerns about the dam. After the dam’s spillway collapsed in February and forced 200,000 people to evacuate, the NBC Bay Area Investigative Unit poured over two decades-worth of records and consulted with dam engineer experts and former Department of Water Resources insiders. The documents revealed four major safety issues, including everything from a 15-foot crack on gate 8 of the flood control structure to spalling and deterioration of concrete in other parts of the dam to cracking of the trunnion rods that raise the floodgates. The former department insiders told NBC Bay Area these problems were being overlooked and needed serious attention. Inspection reports repeatedly showed concerns that the Department of Water Resources failed to establish a long-term plan to monitor the speed of water that naturally flows through the dam—what’s known as the phreatic surface. If water comes out of the dam too fast, at the wrong time, experts said it could wash away the entire dam. 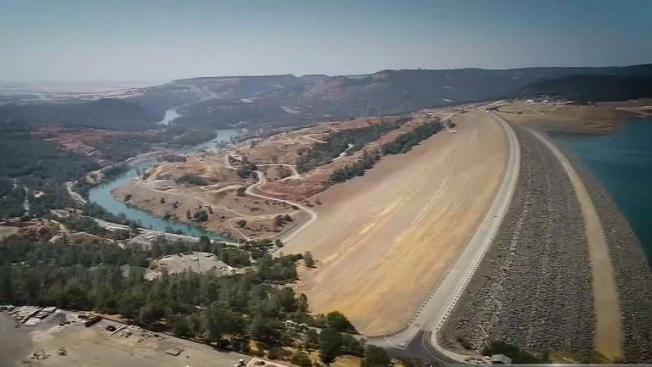 Water resources told NBC Bay Area they are confident the dam is safe, despite the concerns from previous department engineers. Now, it appears the half-century-old dam will be getting some much-needed attention. Officials say the assessment of the dam is to be completed by the end of 2019. Results from a separate survey from an independent consultant looking into what caused the spillway collapse in February will be released later this month, according to the agency.